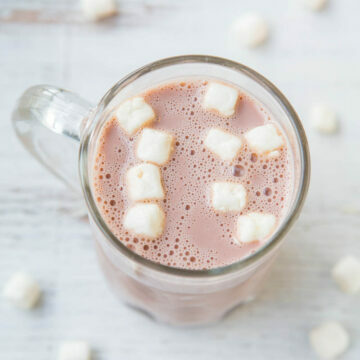 If you think it’s impossible to have a creamy, rich mug of hot chocolate for 105 calories, think again. I’m not talking about those sugar-free packets with the space-food mini marshmallows with water added. 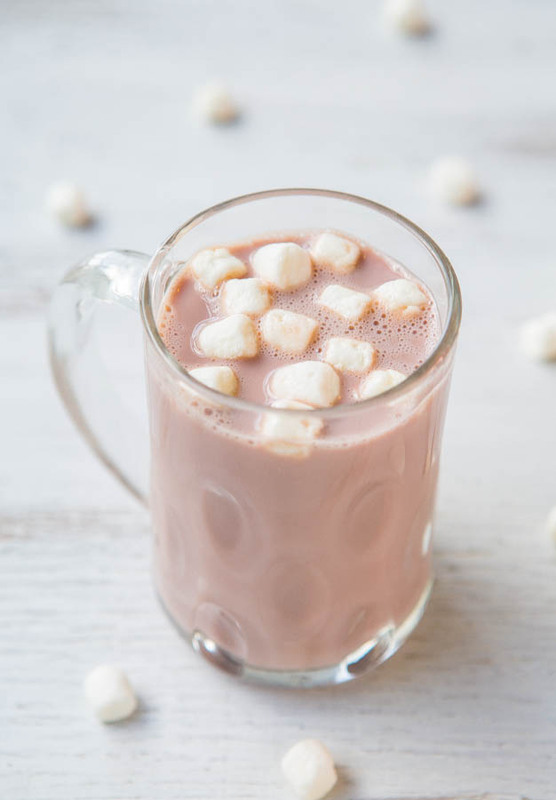 I’m talking about a rich, creamy mug of hot chocolate made with real chocolate milk. I used the new TruMoo Chocolate Marshmallow Milk. TruMoo has Chocolate and Vanilla milks available year-round, but this is a special February edition. It’s available in the dairy section at grocery stores nationwide through the month of February, and is also available at Target and Walgreens. Here’s a store locator. 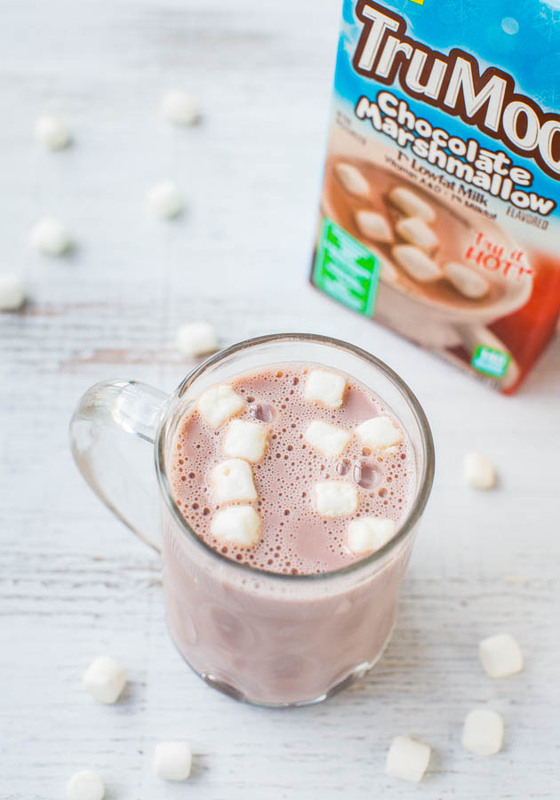 TruMoo Chocolate Marshmallow milk is made with fresh white milk sourced from regional dairies around the country. There’s no artificial growth hormones and no high fructose corn syrup. Sometimes I want to buy chocolate milk for my daughter, but don’t want all the sugar and additives. Not to mention, I can guzzle anything chocolate like crazy, so keeping the drink lighter is a bonus. Just 105 calories for 6 ounces or 140 calories for 8 ounces. There’s pure cocoa in the chocolate milk with just enough natural sugar to balance the cocoa for a chocolaty, smooth, and creamy treat. It’s great warm or cold, but since it’s chilly out, a warm mug of hot chocolate hits the spot. 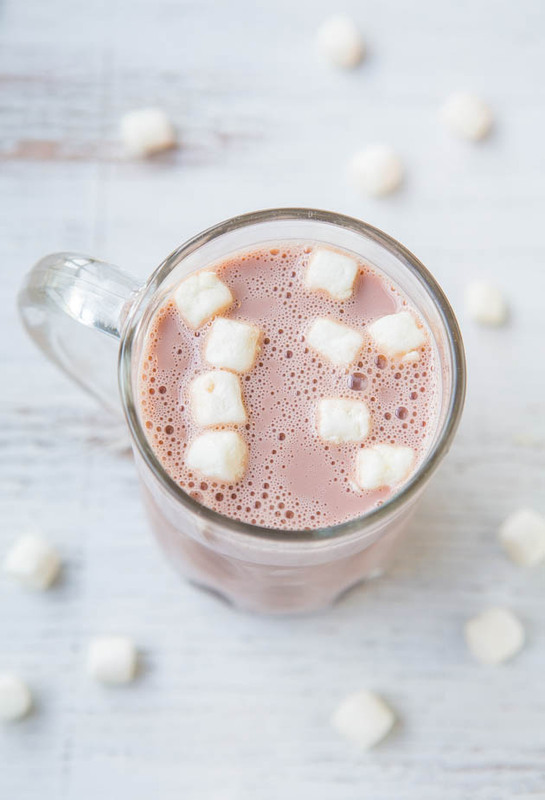 This is the easiest hot chocolate ‘recipe’ ever, and only takes about 1 minute to make. 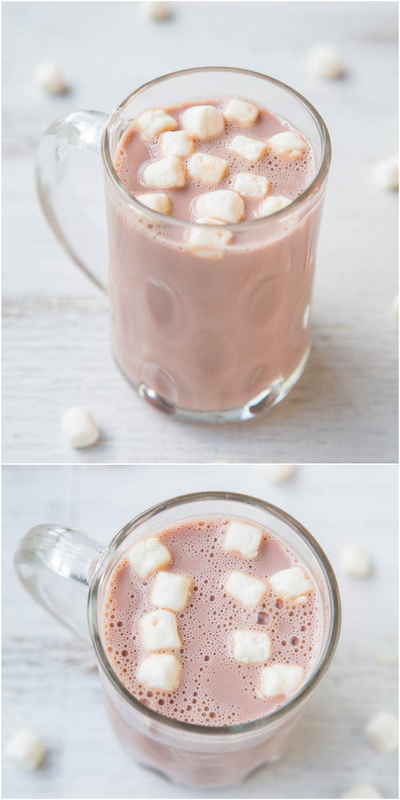 This is the easiest hot chocolate ‘recipe’ ever, and only takes about 1 minute to make. There’s pure cocoa in the chocolate milk with just enough natural sugar to balance the cocoa for a chocolaty, smooth, and creamy treat. 105 calories for 5 ounces, 140 calories for 8 ounces. You won’t miss the calories and fat in this satisfying skinny treat! Pour milk into microwave-safe mug and heat on high power until warmed to taste, about 1 minute. 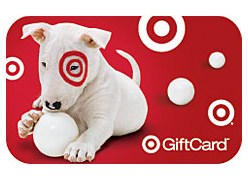 This post is brought to you by TruMoo and they’re going to reward one lucky reader with a $500 Target gift card. Think of all the TroMoo milk you can buy with that! You don’t have to have a blog to enter the giveaway and it’s open to all. Simply follow the Facebook login prompt below and then answer the question if you prefer your chocolate milk hot or cold. Good luck! Hot – Hot – Hot !!! With marshmallows and dark chocolate shavings on top! 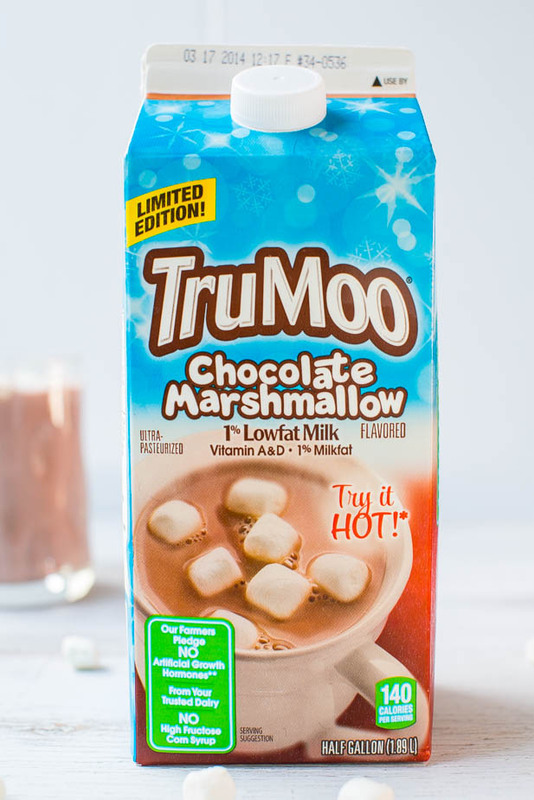 I’ve never seen TruMoo but definitely will be looking for it! I’m sure my kids would like it cold and I’d like to try it hot! 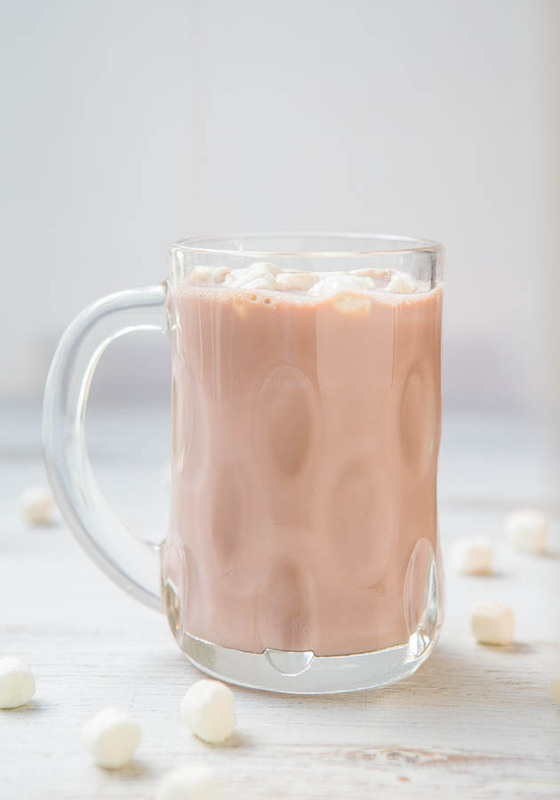 Why did it take anyone so long to make chocolate marshmallow milk? I love my chocolate milk as cold as possible! True Moo is my favorite brand of chocolate milk. My daughter always gets the Tru Moo chocolate milk from Subway, and I end up drinking most of her milk. She gets peeved, but it’s just so yummy! My kids will think this is awesome! I’ll have to be on the lookout for it. We would drink it cold in our house! Thanks for the chance to win. I love TruMoo! I never thought to try it hot. I would consider trying it hot. I voted cold though.